Our first Dissemination Activities Report is now ready for download. 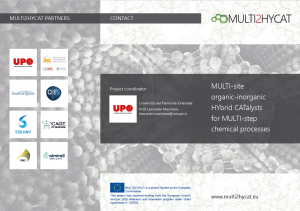 Have a look at our project poster describing the objectives of the project, the benefits for the public, the environment and the chemical industry as well as the project Partners. 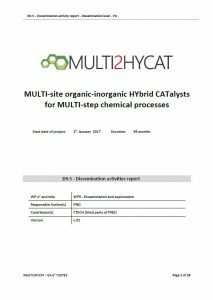 The project brochure is available here and compiles the information of the poster into a hand-held format. 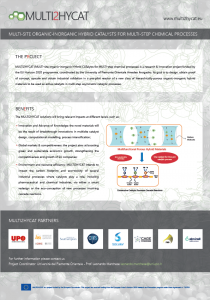 The MULTI2HYCAT project roll up banner is available here. 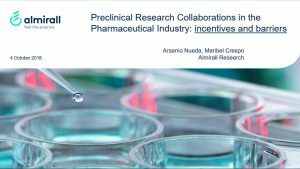 In September 2018, project partner Almirall attended BioSpain 2018 and participated in a round table discussion focused on partnerships in Pharma. The presentation is available for download here. 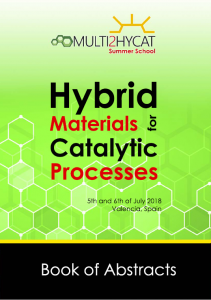 The MULTI2HYCAT Summer School was held on 5 – 6 July 2018 in Valencia (Spain) immediately after the 18-month project meeting. 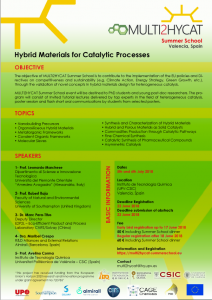 Download the invitation, the book of abstracts and the “Summer School in Pictures” article in this section. 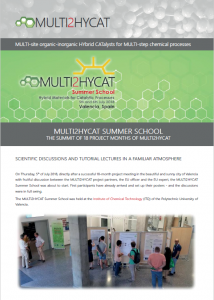 For more information visit http://www.multi2hycat-summerschool.eu/ and check our photo albums at the ITQ-Facebook page and the MULTI2HYCAT-Facebook page.